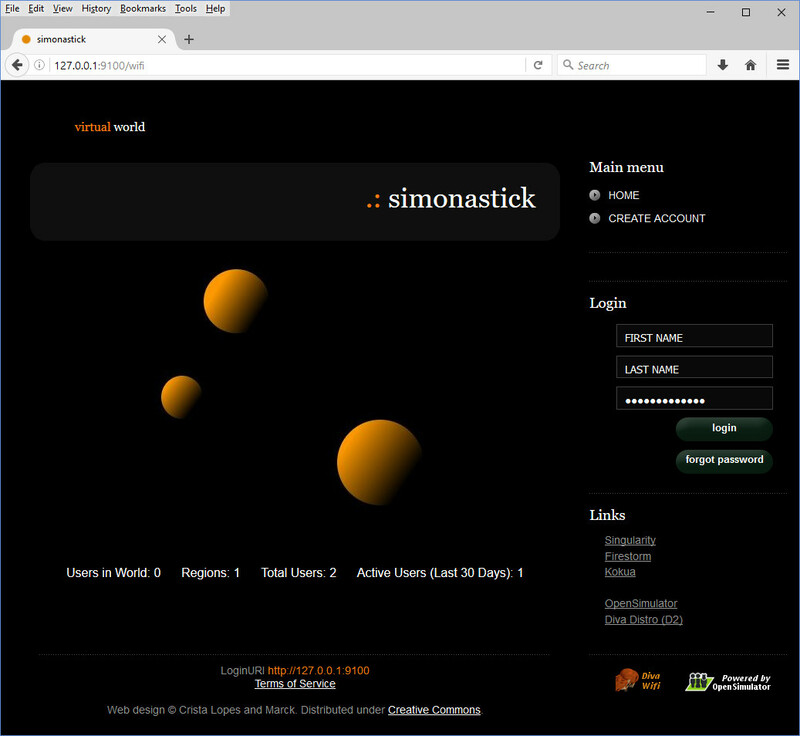 The config-include/MyWorld.ini file provided with Sim-on-a-Stick 0.8.0 postfixes version needs to be altered to work properly with the latest (at the time of writing) version of OpenSim Diva Disribition (D2) which is 0.8.2.1 (24th December 2015). In the [Startup] section turn off CombineContiguousRegions as the “megaregion” mechanism is now replaced with the more flexible “varregions” and the mega-region facility will be removed from OpenSim 0.9.0. 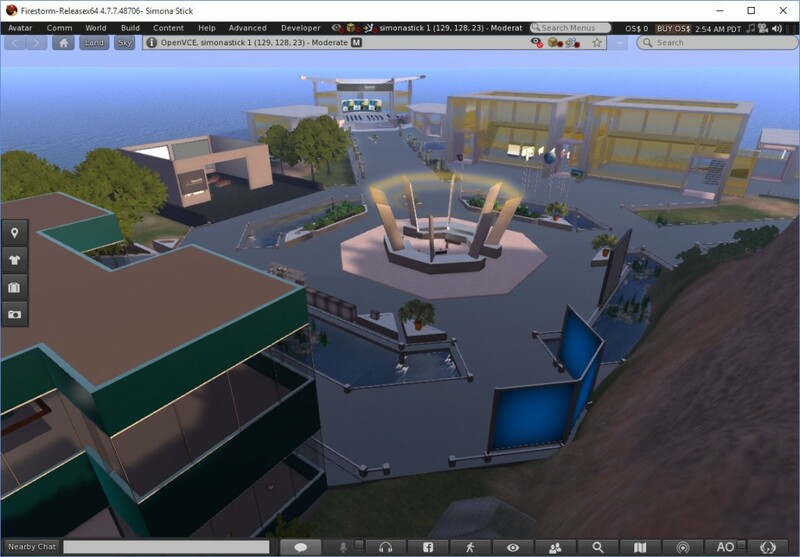 And add a new [Hypergrid] section (e.g. 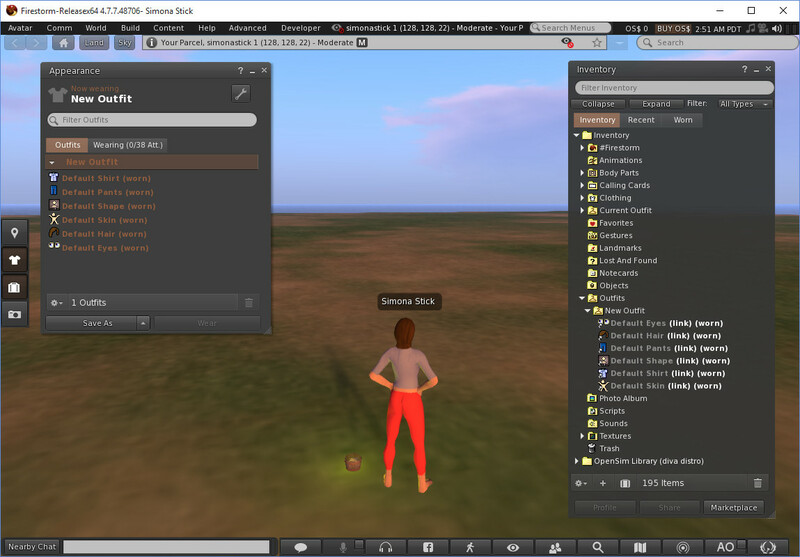 just after [GridService] section) to give the HomeURI and Gatekeeper URI for Hypergrid. If you see this error in Sim-on-a-Stick, check this line is present in the bin/OpenSim.exe.config. If not, add it and run again. When you run Sim-on-a-Stick for the first time, it might also be worth setting an “Outfit” in the viewer. The directory also contains the modified MyWorld.ini and bin/OpenSim.exe.config files in case you want to take those to add into your own Sim-on-a-Stick setup. This entry was posted in OpenSim, Virtual World and tagged OpenSim, Sim-on-a-Stick, Virtual World. Bookmark the permalink. Others have found that larger assets, for example in a loaded OAR, may not load correctly and throw MySQL errors. This can easily be fixed by changing the my.ini file that is loaded when MySQL starts. • Open the SoaS folder. • Find the MySQL folder and open that. • Inside there you will find a file called my.ini Open this with Notepad++ or a similar text editor. • Find line 63 where you will see a line saying # SERVER SECTION. • Below that, on about line 73, you will see port=3307.